Braid is not a game. Mana Energy Potion–now with horrible side effects! YOGU-TIMEU! 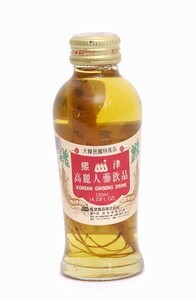 Ginseng drink: a Lovecraftian monster in a bottle. Refrigeration drinking enhances flavor. The Gallon Challenge! Pre-order fights. Listener emails… from Russia. Time flows differently in podcast land. Digg, approve our podcast already. BRAID SPOILERS–what does it mean? Grenade down the pants. World of Warcraft is one of the worst offenders. Download “World of Braidcraft” here (mp3)! A Lovecraftian monster in a jar. Posted in: Podcast on September 30, 2008 by The Maitre d'.